A recent article on Kitco quotes a blue chip US resource investment firm as saying the metals sector is now poised for a breakout. One aspect of this thesis is “the fact that commodities’ supply side is being negatively affected by the multi-year plunge of capital investment in new natural resources”. For precious and base metals, this will no doubt support long term prices as the threat of future new supply upsetting fundamentals is low. But how do companies demonstrate growth or even sustainable production for that matter if they are not spending much on exploration? The answer is M&A as the current investor apathy for mining companies and especially juniors is creating scores of accretive opportunities. Here’s a look at two of the largest deals that took place this year. 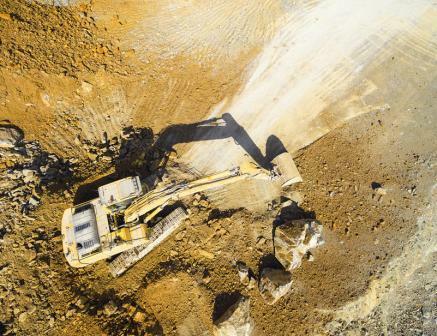 Vancouver-based Arizona Mining Inc., which owned the Hermosa-Taylor zinc, lead and silver project near the U.S.-Mexico border, agreed to be acquired by Australia’s South32 Limited, which already owned 17 per cent of the company when the sale was announced in June. The roughly C$2.1 billion deal was not an easy decision for its Executive Chair, Richard Warke, given that the mine being developed is likely to become one of the top five zinc equivalent producers in the world. With more than 25 years of experience in the global resource sector, Richard Warke has had a history of success in buying undervalued companies and increasing their value for shareholders. Canadian-based Nevsun Resources announced in September 2018 that its board of directors unanimously accepted a C$1.86 billion (US$1.41 billion) takeover bid from one of the largest mining companies in China, Zijin Mining. The company rejected an earlier “hostile” take-over bid from Lundin Mining, which was valued at around C$1.4 billion. The Chair of Nevsun’s board of directors, Ian Pearce, said it was an excellent outcome for their shareholders, and the result of a rigorous and competitive global process to generate maximum value for the company’s assets. Zijin is a leading global mining company that specializes in gold, copper, zinc and other mineral resource exploration and development.